Celebrities and the fashion industry collectively losing their fashion marbles over last three collections of Stella McCartney- from her notorious exploding tropical prints last spring, to her mesh polka-dot little black dresses from her fall 2011 collection. And now, the prominent paisley cut-outs from her spring 2012 collection hes been already seen on Gwyneth Paltrow, Helena Christensen, Nicole Kidman, and most recently Brooklyn Decker. 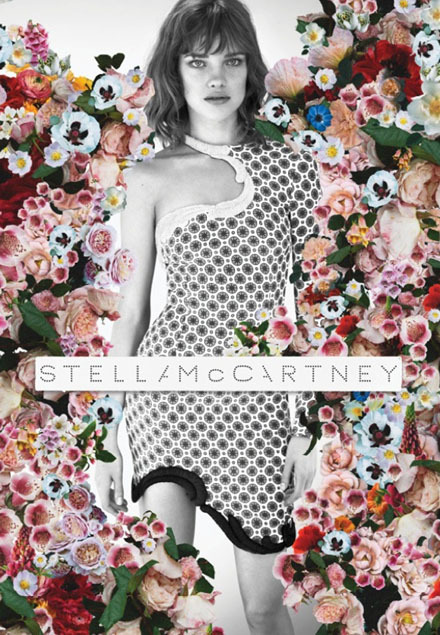 Stella McCartney’s paisley cut-out dress has already conquered Hollywood fashionstas’ hearts! Something is definitely clicking for the designer, with her body-hugging statement dresses having an irresistible pull for celebrities and models alike. 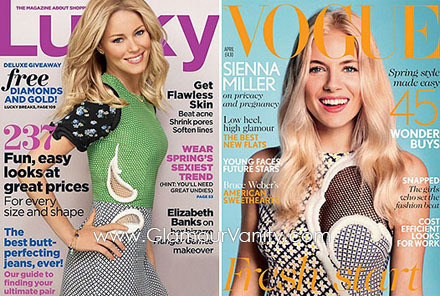 Elizabeth Banks and Sienna Miller wore the dresses on their recent covers for Lucky and British Vogue, respectively. These dresses are a little bit sporty, with standout zany mixed prints, pops of three-dimensional feminine embroidery and mesh cutouts. The designer’s little black dresses last season, with the famous sheer polka-dot insets were also a huge hit, most memorably seen on an hourglass Kate Winslet at the premiere of Mildred Pierce, and on every other style setter from here to Hollywood. The designer herself opts for more covered-up, polished yet easy pieces like these skirts, and her designs are a reflection of her own balanced sense of style.